Whilst the eyes of the majority of the footballing world have been focused firmly on Poland & Ukraine this past weekend, there’s been plenty of great game being played outside of Europe, too – including an absolute barnstormer between Brazil and Argentina! Being played at the MetLife stadium in New Jersey, a real-back-and-forth ‘Super Clasico’ tussle was being played out by two of the most widely-respected national teams in the world. And whilst the pitch was packed with stellar names; Aguero, Hulk, Neymar and Alexandre Pato to name but a few, it was one name that shone above all others; Leo Messi. 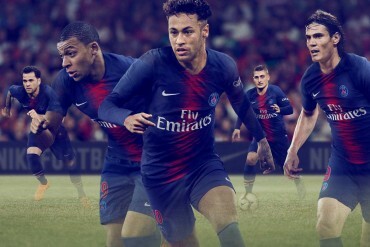 Whilst Brazil seemed to have the momentum at 2-1 up, the Barcelona superstar wasn’t to be denied, and capped off his hat-trick with a goal worth of being the match-winner at any fixture – which you can watch on the video link above. Meanwhile, in New York, adidas were putting their ‘Light You Up’ campaign into full effect. 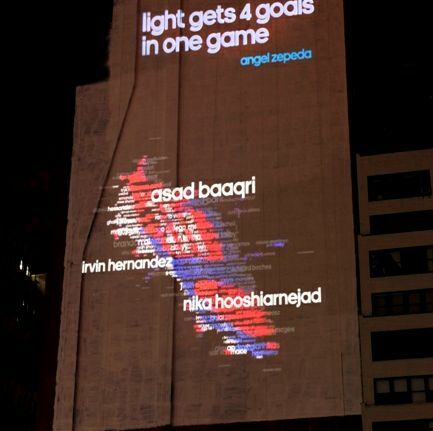 As well as bringing the Argentine superstar to the Big Apple for the usual array of PR exercises, adidas were also giving fans the chance to get their name in lights next to Messi on a giant projection in Midtown, Manhattan. With the focus being on ‘light’ – both in the concept of the projection and the featherweight F50 adiZero‘s Messi is famous for wearing – The fans who engaged the most saw their names appear brightest in the 8,600-square foot projection. Can you spot your name in this giant image?